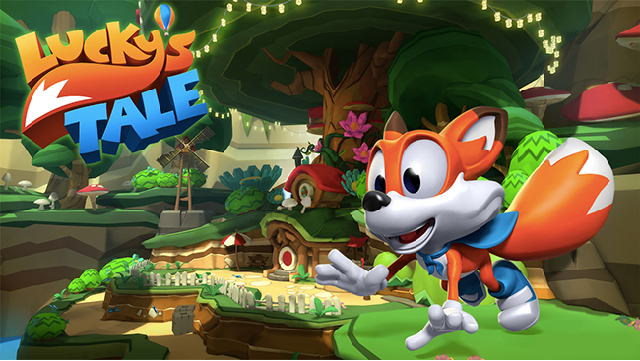 Lucky’s Tale is a standard 3D platformer, in the vein of games like Super Mario 64, Banjo-Kazooie, or Ratchet & Clank. 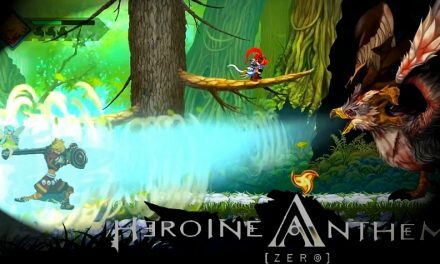 Players control a happy-go-lucky little fox traversing a colorful world, but one filled with dangerous enemies. Even the perspective is just as before, with players viewing Lucky from a third-person view. The biggest difference that Lucky’s Tale has over its contemporaries is that the camera is controlled entirely by the player’s head. In fact, players will have to unlearn roughly 20 years of gaming logic, because the camera is no longer tied to the right analog stick. The platforming mechanics in Lucky’s Tale are finely implemented, offering collectible coins, secret areas, and challenging jumping sequences. But there are a few things that take some getting used to. Normally, the camera can be adjusted in such a way that jumping and swiping at enemies becomes easier to judge. This isn’t quite the case here, since your personal perspective acts as the camera. That means it’s possible to mistime a jump or swing at an enemy and miss. Heroine Anthem Zero announces its 2nd free story update, and new Artbook DLC!